Membership of Nordic Roaster is personal. That means that every individual has to sign up. Your company can support the organisation as a “Friend of Nordic Roaster. You need to be a member of Nordic Roaster to compete. Please sign up for membership here. Please sign up for 2009 membership here. Solberg & Hansen from Norway is “Nordic Roaster 2007”. Coffeees marked with red are winners of the two categories: drip and espresso. 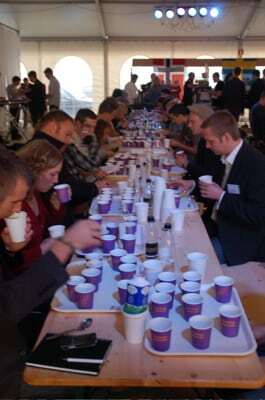 Here are the results from the Nordic Roaster 2007 competition.